With 10 of it’s CP-140 Aurora aircraft just completing a modernization program, the Royal Canadian Air Force will not require a new maritime patrol aircraft any time soon. 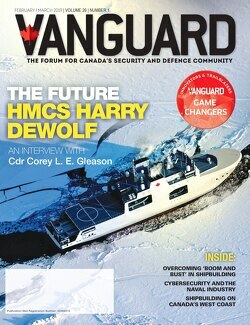 But it has begun to think about options for a future fleet, as RCAF commander LGen Yvan Blondin acknowledged in a recent interview. One of the likley contenders in any acquisition program could be the Lockheed Martin C-130J Hercules. Recently, the company began briefing the U.K. and other governments about the possibility of creating an international consortium to develop and integrate systems on a maritime patrol version of the newest Herc, according to Defense News. The effort is part of a strategy to “get users with similar requirements to pool their efforts in a partnership involving governments and local industry,” the publication said. Defense News quotes a company executive who says a consortium would likely entail countries already operating variants of the C-130 or P-3 Orion maritime patrol aircraft. “People who have an anti-submarine requirement in the world aren’t strangers to the mission, there is not really anybody new in the area. … The customer set is our allies and the usual suspects. There is some obvious connection between countries who already operate P-3 or C-130J and already have indigenous capabilities to maintain and modify the aircraft,” he said. Although Lockheed Martin has yet to brief Canadian government officials, Canada does meet all of those criteria. Lockheed constructed a European consortium for the F-16 fighter jet, pulling together the air forces of Belgium, Denmark, the Netherlands, Norway and Portugal under one umbrella to buy, maintian and update a jet aircraft program. Has the F-35 become indefensible?